11 La Crescenta Cir, Madison, WI.| MLS# 1843167 | John Reuter Realtor/Broker/Owner of The Reuter Team. Wisconsin Homes for Heroes Realtor. Proud to be the Top Homes for Heroes Realtors in Wisconsin and One the Top Homes for Heroes Realtors in the United States. 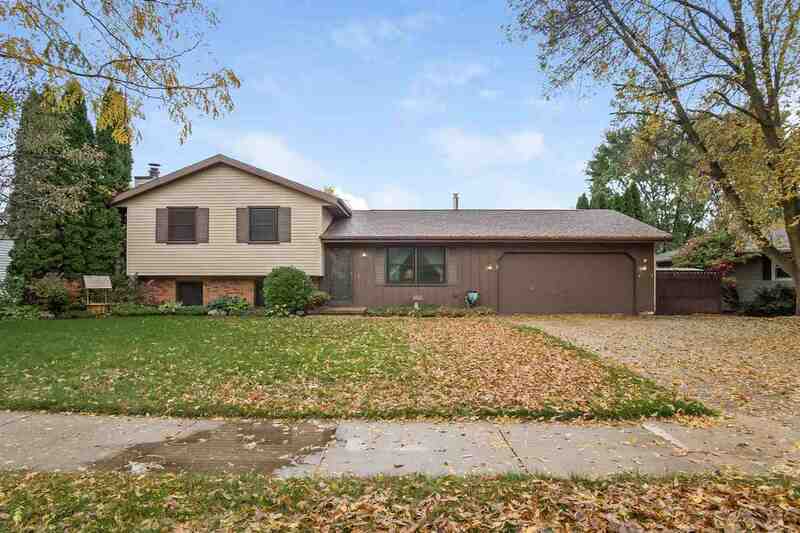 Perfectly sized home w/potential to add more space & full bath-come check it out. You'll love this newly painted 3-4 bdr home w/ ALL NEW WINDOWS & ROOF! Quiet cul de sac location & backing to park sets it apart. Main level has a light filled living room & kitchen/dinette area w/ patio door opening up to an expansive private two tier deck-perfect for family & friends! Upstairs you will find 3 good sized bedrooms & walk through bathroom. Exposed LL has a FP, half bath & charming french doors opening to an office/guest room. Storage galore in the unfinished basement& oversized 2 car garage. Items Included: Washer, Dryer, Window Coverings, Lower Level Fridge And Freezer, Fridge, Dishwasher, Stove, Microwave, Basement Shelving.